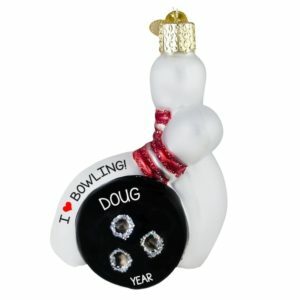 Use code SPRING to save 15% off your total ornament order! Now thru 4/30. We have recently updated our website and customer account portals. 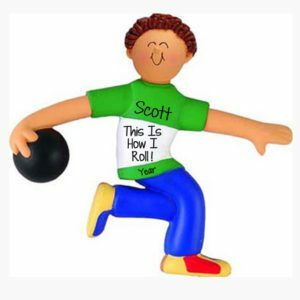 Should you need assistance with your account or information regarding previous orders, please contact us at customerservice@personalizedornamentsforyou.com. Use the form below to login to your account (i.e. required field). The perfect gift for your Bowling Champion! 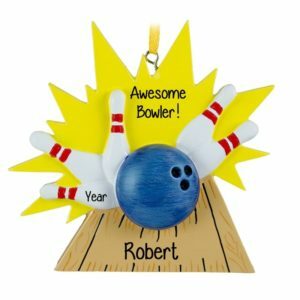 Be the first to congratulate the bowler in your life for that “high score” by giving them a hand personalized ornament from Personalized Ornaments For You. 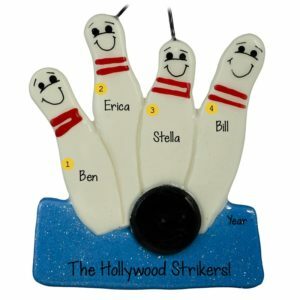 Hand personalized Bowling Christmas ornaments make the perfect gift for your avid bowler and for your bowling teammates and buddies! 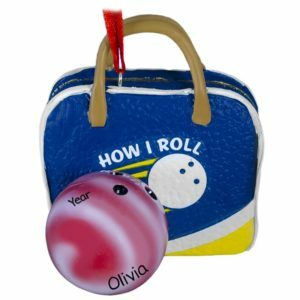 Ornaments can be personalized with the bowler’s name, team name, year and any achievements or special score that marks the occasion. Did your bowler have the perfect 300? Did your team win the championship? 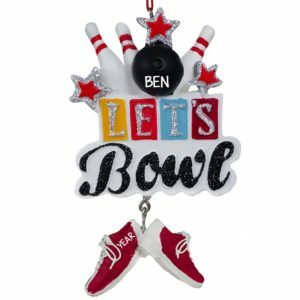 We can help create a bowling keepsake to hang on the Christmas tree year after year, reminding loved ones of the first of many bowling highs that can be reached!